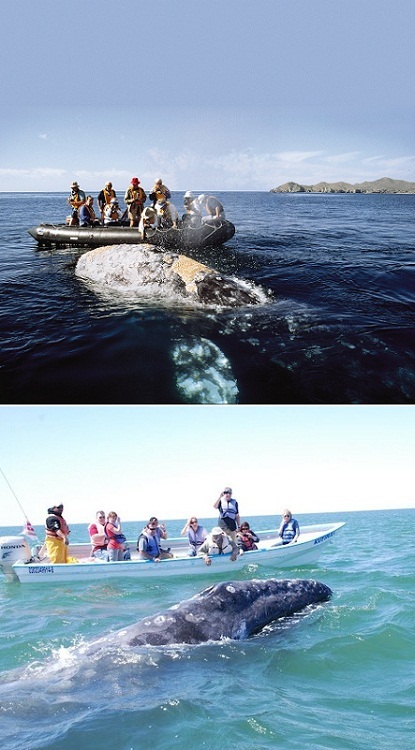 exPress-o: Whale Watching: Would you dare? P.S: You might also like this awesome whale story. My son had a whale watching trip here in Puget sound with his class. I went along and was amazed at how many whales we encountered....not gray whales but small pilot whales. Still very breathtaking to see them in the wild. I've gone 3 times. It is amazing!!! I haven't seen the movie. Thanks for the review. I'd love to go on a whale watching trip!!! I think it would be the adventure of a lifetime. Oh, i'd definitely do this...looks so much fun! Happy Monday, friends! really cute movie! and i have been on a whale watching trip on Cape Cod and i loved it. seriuosly on of the best days of my life. looking forward to go again here in australia!! i would LOVE to go whale watching! Now I want to watch the movie! I'd love to go to Baja and see these guys! Eliza, I would be scared as well. They are so big, aren't they? Totally agree, Hannah! And Lauren, I adore your comment - "I've always been so in love with whales and love their quiet, gentle, massiveness"
I wish I had the balls to do something like.I think whales are some of the most majestic creatures but if one got that close to me in that small of a boat, I might pee myself. These pics are insane! The boats look so small. They really do, don't they, little t?